Scroll down to the bottom of this page to Register! "I highly recommend any of Todd’s classes. 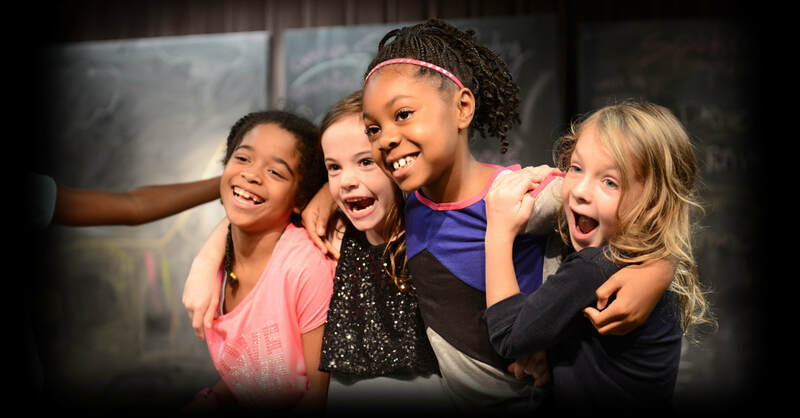 Each student gets personalized attention, the feedback is thoughtful and insightful, and you are given a safe space to learn and grow as a performer." 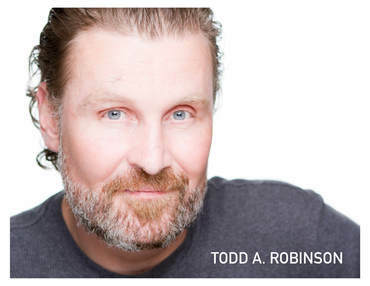 Todd Robinson’s class is everything I would hope for and expect from an intensive scene study course: challenging, thought-provoking, extremely interesting and edifying. The bonus is that it’s extremely fun as well. I will definitely be joining other classes he offers in the future. Todd has been mimicking sounds and voices since he was a toddler, entertaining his grandmother in Southern California. It was pretty clear early on that he was going to be in the entertainment industry. Drama, Film Studies, and English were his favorite subjects. In high school, Todd appeared in several school productions, as well as working professionally at the local dinner theatre. After serving in the US Navy Submarine Force, Todd returned to the West Coast to pursue the rock star dream. After a few eventful years in a couple of bands, the acting bug bit him again. He worked on a comedy pilot in Los Angeles in 1997, and has been chasing that dream ever since. In that time, he has starred or played principal roles in dozens of short and feature-length independent films, as well as making some memorable appearances on network television. Todd loves helping other actors discover their best work. He began his audition workshop in 2010, and ran it successfully in Portland for five years. After taking a couple of years off, he is back in the role of teacher -- offering an energetic and supportive, yet brutally honest, style that is sure to help actors cut through the nonsense and get to doing their best work. Highly encourage anyone who has the chops to sign up for this! Todd A. Robinson puts you through the paces and keeps your foot to the grind. If are looking to hone your acting talents, this is the one to be at! Super glad I attended the last one! Class Overview: This bootcamp is for youth actors 8-21 years of age. 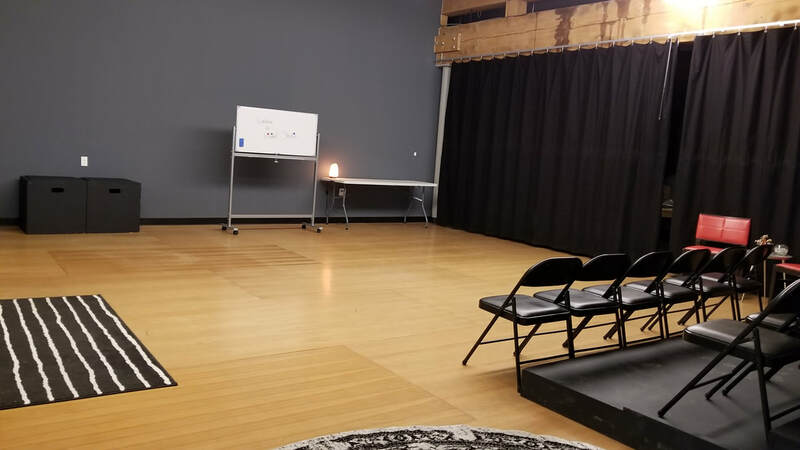 It's a 5-week intensive program for actors to discover their strengths and weaknesses, while learning to create characters, connect emotions with their partner, and fight for what they need in the performance. Scene study is not a place to learn a foundational technique; therefore, it is not the best place for beginners. Scene study is best for actors who already have some training and some skills that they can bring to the performance of a scene. In this bootcamp, you will learn how to craft the arc of the scene while practicing timing, focus and taking direction. You'll learn the collaborative process between actors and directors, including the nuances of the director's scope and direction of the plot. The experience of scene study helps the actor perform their roles with a keen awareness of the intent of the director. It is also important for an actor to get comfortable putting up a "finished product." On the 5th week of this program, you will be able to showcase your hard work first for family, then to industry professionals, including: talent agents, casting directors, directors and producers. After the showcase, there will be a meet and greet! ​In order to be in this program you must commit to attend all 5 weeks. Class is limited to 12 students. June 19th 12:00 - 4:00 p.m. Actors will receive scenes and scene partners, and read through the scene together for the first time. Focus will be on breaking down the scenes, including finding beats, objectives, relationships, and more. June 26th 12:00 - 4:00 p.m. Actors may still be on-book. Focus will be on strength of choices, playing to objectives and relationships. Exercises like parallel scene work and role reversal will be employed to strengthen actors' understanding of their scenes. July 3rd 12:00 - 4:00 p.m. Actors will be off-book by this point, and they will be put to the test with a number of Todd's infamous "curve balls." These exercises are designed to help the actors dig deep into the material to find hidden gems that can bolster their performances. July 10th 12:00 - 4:00 p.m. The actors will perform their scenes on camera, much like they would on an actual set. Different types of camera coverage will be employed to capture the scenes. The actors will then watch playback and critique their own work, as well as receive feedback from Todd. July 17th 12:00 - 4:00 p.m.
Industry Professional Showcase! 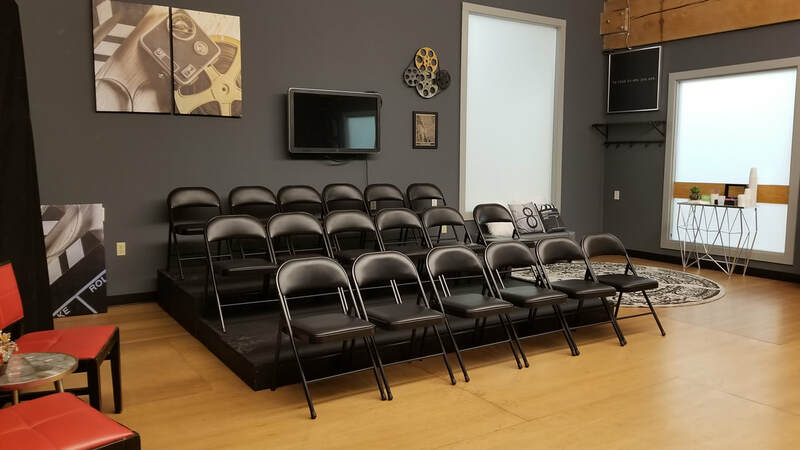 After working the scenes for four weeks, the actors will perform those polished scenes first for friends/family from 12-2, then for an audience of local talent agents, directors, producers, and casting professionals from 3-4.